I’ve just discovered Dr Aron’s method and have yet to try it myself but I was impressed by all the stories I’ve read and seen. 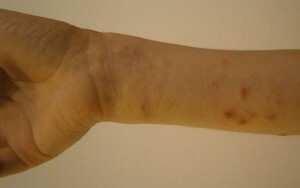 Been doing loads of research on Eczema alternative treatments. I started using Apple Cider and Probiotics because I heard about leaky guts. Its only been 3 days but it might make a difference I don’t know. I’ve had Eczema since I was 14 and I have managed to get it under control with steroid creams and Moisterisers but recently its been getting bad again. Could be the cold weather. I wish we’d tried the Dr Aron treatment much earlier so I would recommend looking in to it. I think the cold weather always does make a difference. 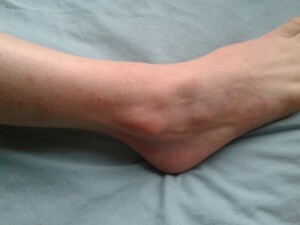 Most likely the central heating as well as both tend to dry out the skin. It takes up a lot of emotional energy sometimes and we forget how much irritating skin can really affect our mood. I hope you get on top of it again soon. It is brilliant to read your story. Before we went for it and emailed Dr Aron I was so suspicious of all the amazing stories of this brilliant treatment. Now, on week 4 of treatment I am so desperate to let people know about this treatment. All me and my husband used to wish for as a break, a break for us all from the creaming, the antihistamine, the constant itching, the wondering. What was it that caused this worsened bit of skin? And here we are on just 2 applications a day, no additional greasy creams or anything. I’m beside myself, I don’t even know how to celebrate. Life is so much better for us but I want this treatment for other children and families too. Dermatologists have to start paying attention! That’s great news! We are using a sticky emollient now as well as the cream as the wintry weather is causing some dryness. Still keeping the eczema at bay though, which is so good. Another delighted Dr Aron patient here – our now 6 year old had been under Dr Aron’s care for 6 months. I’ve been following myitchyboy for a while (after spotting a tweet with #draron) and I’m so pleased that it is working out for your son with Dr Aron! I’m so happy that we’ve joined the happy family of Dr Aron patients 🙂 It’s amazing how much of life is affected by eczema and not just the child/ren but the whole family. It’s not until it’s gone that you realise the impact by its absence. I am really, really enjoying the sleep we now get. Something taken for granted by most parents of 5 year olds! Wow your story is so similar to ours. 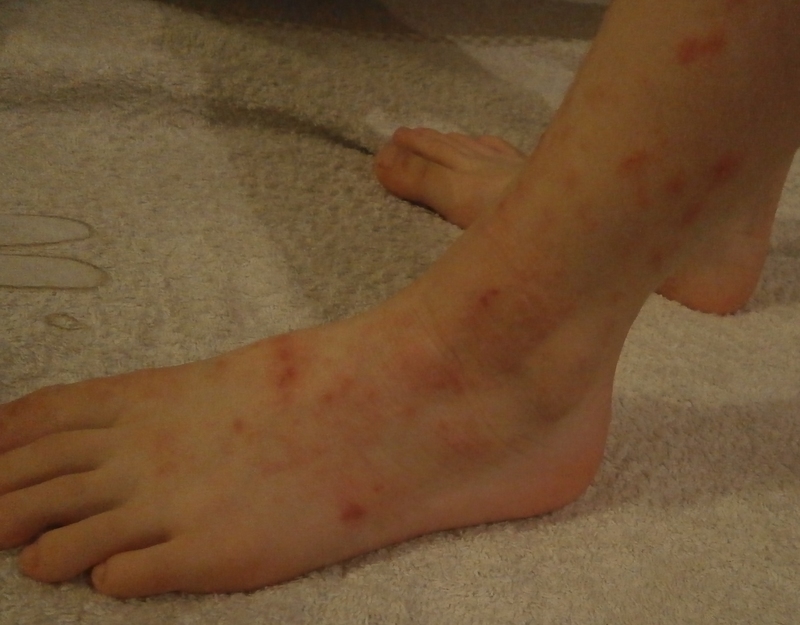 The impact that eczema has on a child, siblings and parents is uncomprehendable if you haven’t been through it. Your blog captures this beautifully. We have also found Dr Aron and have had amazing results. Best of luck for your “not” itchy boy! Fantastic! As the mother of another Dr Aron patient I can totally relate to so much of what you’ve written. Look forward to reading the next instalment! I’m glad you too have found relief. Will update after our next dermatology appt. I wish I had found your website earlier. I also have an itchy boy and am trying to contain my excitement at this cream you are talking about. Next stop, Dr Aron. One thing, did you try installing a water softener at your home and if so did it make a difference? We live in the London area and i have just had 2 appointments this week with water softener companies. Thank you. It’s a relief to know there are people out there who understand what it;s like to cream and decide which steroid to use every single day, which doesn’t seem to make any difference anyway! Hi, sorry to hear you are struggling too. We are still using the Dr Aron cream and he is still sleeping really well. We still get occasional flare ups especially in the pollen season and sun screen has set his arms off again this last week. 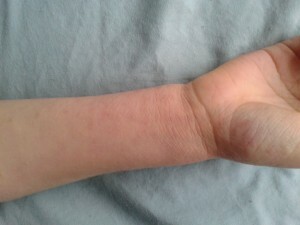 However, we are managing his skin so much better than we used to be able to and it has never got as bad as it used to. I get upset when I think about all the months we went through with his raw skin and how little we all slept. Now he it is under control at least we can go about family life without eczema being the number one thing to think about all the time. We haven’t tried water softeners and we do live in a very hard water area. However, I have not seen hard evidence that it makes a difference. The best thing to try I think is to go and stay somewhere for a week or two where the water is naturally soft and find out if there is a big difference before paying out any money?